A senior housing and long-term care operator that has managed properties for two sizable real estate investment trusts (REITs) is filing for bankruptcy. Senior Care Centers is filing for Chapter 11 bankruptcy in the U.S. Bankruptcy Court for the Northern District of Texas, the company announced Tuesday. The move will allow the Dallas-based company to tackle “burdensome debt levels and expensive leases,” according to a press release announcing the bankruptcy filing. Headquartered in Dallas, Senior Care manages more than 100 skilled nursing and assisted/independent living communities in the states of Texas and Louisiana. Its landlords have included Sabra Health Care REIT (Nasdaq: SBRA) and LTC Properties (NYSE: LTC). Senior Care Centers said it will continue paying vendors for goods and services provided during the Chapter 11 process, and the company has vowed to pay its 11,000 employees without interruption. Additionally, the company has pledged to continue caring for residents while it works to transition certain communities to new operators. The company hasn’t yet made final determinations regarding any of its facilities, according to Senior Care Centers spokesman Tom Becker. “We intend to use this process to identify the best path forward for all of our communities and actively work with the owners while ensuring all of our patients and residents are cared for. Patient and resident care is and will continue to be our main priority,” Becker said in an e-mail to SHN’s sister site, Skilled Nursing News. Financial challenges have mounted for Senior Care Centers, and the provider has struggled under the weight of reimbursement cuts from government agencies and pressures from private insurers while also facing rising rent from its landlords. Though Senior Care Centers first announced its plan to file for bankruptcy this week, there were signs the operator was struggling earlier this year. Irvine, California-based Sabra terminated the leases on 36 skilled nursing facilities operated by Senior Care Centers in November after the provider stopped paying rent. Similarly, Westlake Village, California-based LTC Properties reported Wednesday that it has not yet received December’s rent on 11 skilled nursing properties leased to Senior Care Centers in Texas. The two companies’ current lease arrangement brings in $15.8 million per year, or 9.7% of LTC’s annual revenue. LTC also has a $2 million letter of credit under the leases, along with a maintenance and repair escrow of $2.2 million and a $1.8 million property-tax escrow. LTC CEO Wendy Simpson described the 11 properties as profitable, and took issue with Senior Care’s assertion that unreasonably high lease payments forced the company into bankruptcy. 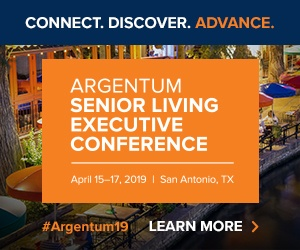 “Our position is that Senior Care embarked on a rapid expansion a couple of years ago and entered into leases that became expensive because of their lack of management, and it would appear faulty underwriting,” Simpson told Senior Housing News. LTC is currently discussing these properties with another Texas operator under similar terms as Senior Care’s lease, the REIT said. LTC would prefer it if Senior Care Centers rejected its current lease during the bankruptcy proceedings, which would allow the REIT to seamlessly bring in the new operator, she added. “We are doing everything we can to come to an agreement with them to return the leases to us, because are working now with another operator to take these properties,” Simpson said.